The change in the weather has finally caught up to me. I caught a cold and spent last weekend recovering, but luckily I had some TLC from my mom. Mothers always know what to do when you are not feeling your best, and I appreciate that mine took good care of me. 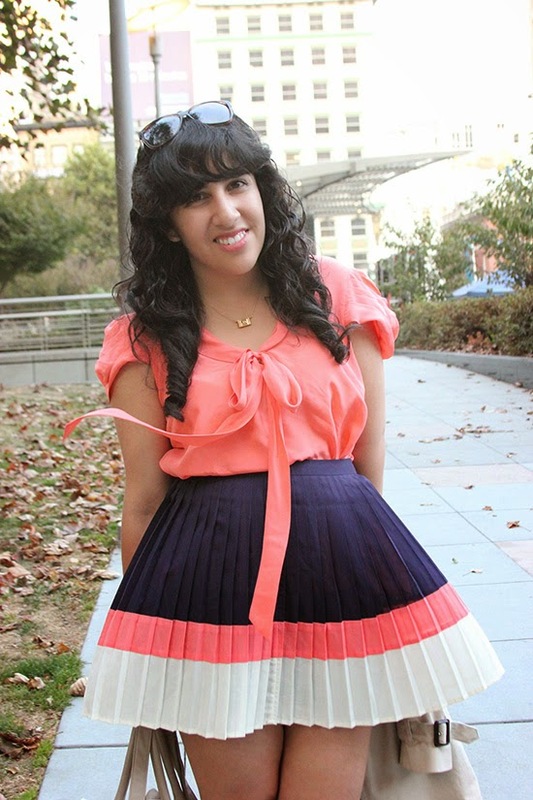 Today's outfit features a skirt and top I found at Crossroads Trading Co. 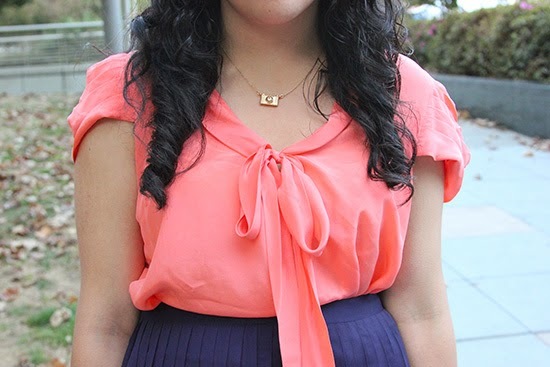 I loved how the coral colors matched perfectly, and this is another instance where my mom helped me out with her input on the outfit. We were shopping together and she gave me a nod of approval when I stepped out of the fitting room with these pieces on. 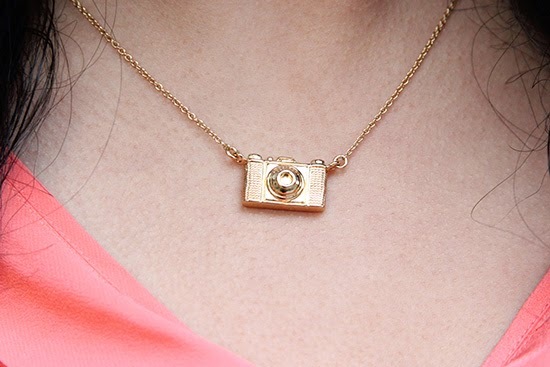 The camera necklace is one of my favorite pieces lately and it was a gift from a friend for my birthday. 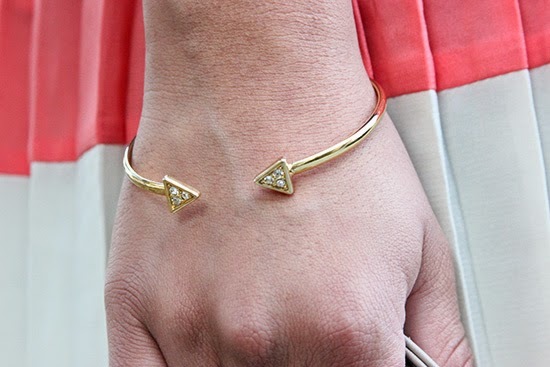 I am also really loving the arrowhead bracelet, which is a rental from LE TOTE. I am planning on keeping this piece because it works well on its own, but it can also work stacked with some other pieces. 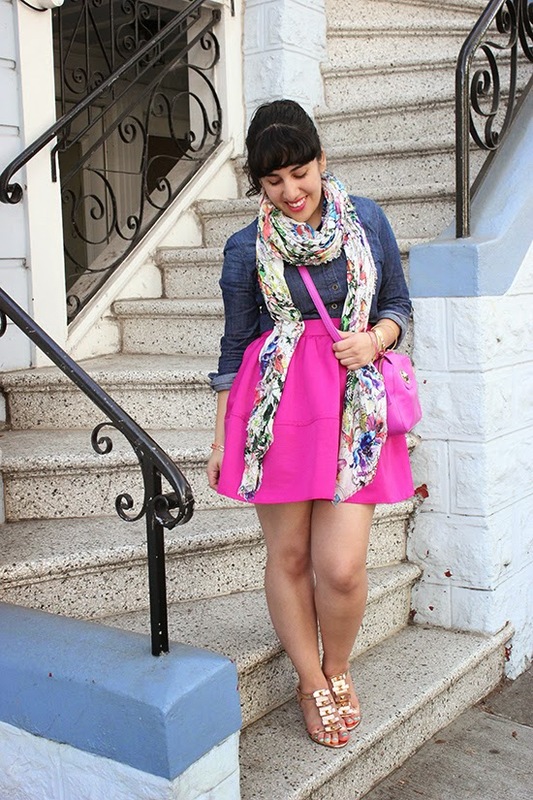 I wore this outfit before I caught my cold, but now I am back to feeling like how I did when Armando took these photos. This week I had enough energy to attend a party hosted by ClassPass at StuidoMix in SF on Tuesday. I took a barre class, and this is my second time taking one. I am still not sure how I feel about barre, but I felt like I got a good work out out of it. I haven't really found a workout routine that I enjoy yet, but I have taken some Zumba classes that I have really enjoyed. On Thursday I had the chance to meet Aimee Song, blogger of Song of Style, and she was very sweet and looked amazing in her Micheal Kors outfit. I found it inspiring to meet someone who started out blogging in San Francisco and has made her career out of it. And today I spent my morning at Jones celebrating Jennifer's birthday with a fabulous brunch. 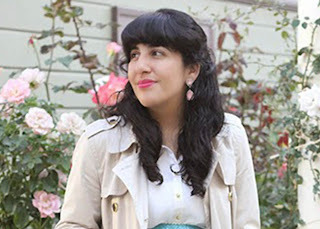 Jennifer is the blogger behind Just Add Glam and I am excited to hear she'll be part of a panel for PoshFest, which is only 2 weeks away! I need to start my outfits for that weekend.